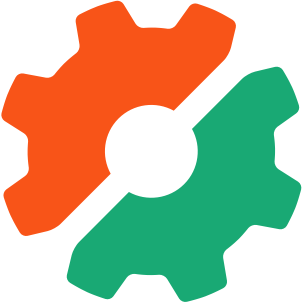 Semaphore is a hosted continuous integration and deployment service for open source and private projects. "Excellent service with great support at a low price!" Semaphore provides a solid, fast service that compares favorably to competitors like Travis CI and Circle CI. Support has been exceptional in the rare cases that we've needed it. Pricing, especially of the new Semaphore 2.0 service, is very low. The rollout of their new Semaphore 2.0 service has been great, and I like that they're continuing to support Semaphore Classic in the meantime. It's clear that Semaphore 2.0 is a new service, so it doesn't have all the features you may expect. However it is actively being worked on, and new features show up regularly. For example, it was missing as "re-run this build" button for a while, but now it has that! My only real gripe is that they do not offer free service for open-source projects like some of their competitors do. If you only need a Linux-based testing environment, it's hard to do better than Semaphore. (If you need Windows or MacOS machines, you'll have to look elsewhere.) Semaphore's documentation is excellent, their machines are fast, and their support is responsive and knowledgable. We run all of our continuous integration (CI) on Semaphore. Doing so has enabled us to avoid dealing with complicated CI infrastructure like Jenkins. We also do some continuous delivery (CD) from Semaphore. That makes deploys completely painless and possible to do through a web-based UI. Both tests and deploys have been fast enough that we haven't wasted any time wondering why our test infrastructure is slow. To be honest, what I like most about Semaphore is that I get to use the product without "using" it. We're a small startup, and after our initial learning gap was overcome, it's been seamlessly integrated into our build process. We have build pipelines to multiple products in multiple environments, and for these preset environments, the build process is as easy as committing and pushing to our source repo. Semaphore runs the tests, and as long as tests complete successfully, it's deployed. Post-commit, we're notified in Slack. Now, that's for the predefined branches. When we have a feature branch we want to test out, for example, on development servers, simply select the branch in Semaphore and deploy manually. There are errors that are extremely common in our environment (AWS). These errors are not abstracted at all, so when a deployment fails, there's no top-level visibility as to why it failed. You'll have to dig into the log-files (which are immediately available when you select the failed deploy) to figure out what went wrong. Not a "bad thing" but not a "good thing" either. We have instituted business processes that define when a feature / bug-fix branch can be merged into our various environments. Semaphore makes everything past that process seamless. If we do our job, Semaphore rolls things out, and all that's required is for us to verify that it deployed correctly. "Fast, Easy and Ready and very Simple interface"
I really like the interface and of its really simple to execute your tasks. I like the Controll it provides user to accomplish tasks as they want. The Deployments Process is really simple and easy then the others in the marker right now. The Speed of the Test that i run throught this is amazingly fast. Customer support is outstandingly fast. Really easy to setup any big project by in just a few clicks. dont need to write 100's of line of codes to fullfill our CI/CD requirements. Nothing till now, because of, for now, it fits on my needs. I would like to recommand this to others who really in need of a simple solution related to automated deployment of the Projects. in combination with the CI. Running tests of my code just before the deployment of the code to live. mostly the PHP Projects. "Semaphore 2.0 is the fastest CI/CD tool I've used yet"
Configuration of Semaphore 2.0 is a breeze. It's entirely file based (rather than a web GUI) using YAML syntax and you keep your configuration in source control. The syntax is relatively simple (but powerful) and well documented. I was able to setup our configuration & optimize it in less than half a day. While many tools these days use this type of file-based configuration, our previous tool did not. With our previous tool (another SaaS product competitor), we were able to run 4 pipelines in parallel for $400/month. At best, we'd get 8-12 minute test/build times (end to end), with a number of 15-16 minute outliers (for basically identical codebases, very small changes). The number of pipelines wasn't really the primary differentiator; I actually tried running between 8-16 pipelines on at least two (2) competitors. Whatever system Semaphore has setup for caching (bundle/node/etc) & provisioning VM's is super fast. Competitor tools would take 2-3 minutes or longer to restore a VM & run bundle. With Semaphore 2.0 our entire test suite is generally complete in under 3 minutes. In addition to the competitors still being slower with more lanes, to run 8 parallel pipelines with the competitor tools would cost us a lot more than we wanted to budget. There isn't much to dislike with Semaphore 2.0, but the web UI may be the area that will see the most improvement in upcoming months. It's clear Semaphore chose an API-first approach with Semaphore 2.0, but the web UI is functional for most of what you'll need to do day to day, aside from configuration. I've watched as the web UI has improved even over the past 2 months we've been using it. We're using Semaphore 2.0 with a Ruby on Rails application primarily for test automation as part of our CI/CD pipeline. "The fastest CI/CD solution out there"
I like how Semaphore streamlines my deployment process. Taking care about multiple environments is easier than ever, and I've tried a couple of other popular CI/CD solutions. Whenever a code update is pushed to git repository it will automatically run tests on it and deploy it if the deployment is configured on a branch to which the code is pushed, and configuring it doesn't take more than a couple of minutes.. The UI is so simple, my mom could even use it :) And it's blazing fast! Sometimes the UI glitches (doesn't update or shows duplicate in-progress builds), but it doesn't really affect my workflow - it can make one confused for the first couple of times, but then you realize it's nothing that a simple page refresh can't solve. My company completely relies on Semaphore for building, testing and deploying code to development, staging and production environments for all our clients. I'm not sweating before the deployments (to production) anymore! "One of the best CI/CD platforms"
4. Their tremendous effort on pushing forward best practices. Semaphore developers understand what you need from a CI/CD platform, and they keep improving it. Often they release new features I need before I requested them. This is particularly true if you look at their newly released 2.0 version. I'm a big believer of total infrastructure-as-code (IaC). Including CI/CD itself, they need to be part of IaC. With Semaphore (particularly 2.0), you can archive near-100% IaC. A strong competitor is AWS CodeBuild. However, to use it effectively, it requires a large amount of prior work and the learning curve is quite steep. Please forgive my bias that I think the majority of the CI/CD users would not have time or resources to do CI/CD nicely with AWS CodeBuild. Semaphore CI will save you much time, in other words, much money. My primary requirement of a CI/CD tool is that it has to support both Git Flow and non-Git Flow workflows. Because when it comes to managing deployment, I have a lot more deployment environments than just "master" and "develop". I also need to support rolling back quickly and efficiently for each environment. I can achieve all that with Semaphore. The quality of most of Semaphore CI’s competitors is nowhere near Semaphore’s. One of them that I tried stated that it supports BitBucket on their homepage, but the BitBucket integration was broken utterly. Also, it was left broken for weeks. I wouldn't bother trying it anymore. Some competitors might seem to be more popular. However, I think this is an example that more popular tools are not necessarily better. I was blown away on numerous occasions by their technical support. Last time, they helped me to resolve an issue similar to kernel panic inside a virtual machine in my CD environment in Semaphore (and yes nested VM because I was building a VM image for later use). Ervin, one of their engineers, provided a workaround to me in less than 24 hours. Then they went on to actually address the root cause. This is impressive because I think the issue I was encountering was very low-level and hard to debug. Remember we are talking about things like kernel panic here, not many developers would have any clues. Really nothing. If I have to say one, it would be the limitation that you can only run your builds in a single region which is in Germany. I really don't see many other real competitors unless your CI/CD platform is just a toy. Semaphore is fast. Building a rails app or an elixir app is pretty fast, running all the tests and doing integrations is faster than Travis + other integration solution, and much cheaper and easier to use. The interface is clean and simple, and it's very easy to know what is happening or why something failed. Also, the docker integration is good and being able to encrypt your passwords and env variables is pretty awesome. I also like the tutorials on the site, they're pretty good and very complete. Maybe have more tutorials about elixir deployment with distillery and AWS integrations. Sometimes the builds take too long on docker. Just read their well-written tutorials and try to deploy a simple app. If you ever used Travis or CircleCI, you're gonna notice the ease of use. It won't have as many features as the competitors, but this is a good thing. Most apps don't need all of that added complexity anyways. Continuous integration, test automation and deployment on AWS. Our other rails apps (older) use Travis and Capistrano for deployment, but our newer apps run on semaphore because it makes it easier to run all the tests and run the deployment. Also, semaphore is just faster. Our tests run so much faster on semaphore without any tweaking. "Simple, Powerful, and Great Support"
No problems with this service so far. Suggestions for future development would be to use YAML config so Semaphore configuration can be version controlled - but that has recently been launched with Semaphore 2.0 I believe. Most CI services have easy trial policies - if you sign up to a few, I think it is quite likely users will notice that Semaphore has best-in-class performance. We were trialling multiple providers and decided on Semaphore because the builds were faster than everyone else! We have large containers that typically take a long time to build on other services. Semaphore offers a serious speedup over most competitors in terms of raw build time. Semaphore is the fastest service of its kind. This is the main advantage of this service. I can notice an excellent documentation that helped me sort out and solve any problems. I also like the ability to run tests in parallel. And the most important thing is customer support - the fastest response that I ever received. I also liked the ease of setting. The main disadvantage is its price, but for this speed is not a big claim. Just a little, not a user-friendly interface. Now it is convenient to work with it, but for the first time, it completely confused me. This is really the fastest service. You will save quite a bit of time. Try and see for yourself. We have a large team and several large projects. Parallel execution is just a godsend for us. Since testing takes quite a bit of time, we can run several assemblies and save a lot of time. Awesome user experience. Everything about using Semaphore is great. Adding projects, servers, managing teams, etc. It's too often that the user experience is overlooked when dealing with tools that are so heavily trafficked by developers. It's also fast, and always kept up to date, and easy to integrate with other services. I also like their blog articles. Give it a try first, and compare it to other products. See if it works for you. Ask them for help if you need it. We needed to move away from managing our own Jenkins, so we looked at managed CI/CD solutions. Semaphore fit the bill in every way and was easy to set up. I just love it. Using it, and more properly said, making full use of the platform, we reduced build time from ~ 16 minutes to about 4. I have been using different CI for a long time. The configuration of your PC is very important for these services, but the old CI did not use all the power of our server. We had only one problem while using Semaphore and the support worked at the highest level, our problem was solved very quickly. By the way, support is fast as in the paid plan and in the free. The base platform of some services is very outdated. I have a problem when installing MySQL, because of obsolete plugins. Until now, there are some important functions that competitors have long had. The program has an excellent free plan. Support, even for a free plan, works amazingly. The simplicity of service and excellent support make your choice. Our team moved to Semaphore with CircleCI. We were immediately surprised by the speed of work. Tests are performed almost twice as fast. Now we save a lot of time and concentrate on more important functions. "Good CI for any type of projects"
I use Semaphore for my open source projects and for some private automation tasks. The simplicity of this CI gives you the whole range of possibilities to customise what you want. I've tried alternatives to see which features are provided by other CIs but always return to Semaphore for flexibility. Additional good word is about open source program support. Semaphore team provide good planes for OSS. CI and CD processes can be automated easily with Semaphore. This system have really low entry threshold. It's just a good ole product. Fast as lightnin', easy to organise projects and teams, a great user experience... the list jus' goes on and on. I'd be writin' all day if I had the time - but sadly I don't. As an added bonus, the product is made in Serbia - that's a country in South Eastern Europe that I'm very fond of. I mean I'm speaking from the management perspective, so I'd say the pricing is a little strong, esp' when you start getting into the higher tiers. But - they're all more or less the same, these CI tools, so basically they're not going down the 'cheap 'n' cheerful' route which is something I respect fully. It speeds up dev no end - meaning more cash for craft beers and team building trips away! Wahey! "SemaphoreCI - The speed we need." I have been using different CIs since many months, i have already gone a long path with travis and circle, then i saw SemaphoreCI and i was like, let's try this too, and too my astonishment, semaphore was ez pz to set and a lot faster than the other CIs and the way it shows job log is just perfection. Sometimes when the job log gets a bit longer, semaphore fails to show the log of 1 or more of the commands, rest everything is up to the mark, considering the free resources they provide. I don't have any business, i use semaphore largely to get my android apps and kernels built, they just get built lightning fast, my kernels used to take around 15-20 minutes on travisCi but on semaphore it takes atmost 10 minutes to get compiled and uploaded. "Good for personal/small scale projects because of price and ease of setup, but low reliability." The price is far cheaper than travis and makes the product perfect for prototyping an app that requires a lot of iteration. Additionally I found several useful guides for integrating the service with AWS / Firebase, which made the setup process fairly quick. I have seen multiple consecutive days of downtime. While these were apparently the result of an upstream provider, it made little difference to me as the end user, because I simply could not deploy my app. Stability and reliability in a CI service it probably even more important than ease of use and for Semaphore's price I would happily put up with some degradation in UX, in favor of reliability. I make the same tradeoff for other services and find it worthwhile on my shoestring budget. Look at the uptime stats and community support consider whether it is worth the tradeoff to you for the price. I'm prototyping an app and need testing and deployment on every check-in, for which Semaphore is well suited. Additionally I only have a handful of repositories that require check-in, so Semapohre is allowing me to operate on a very low budget while still having all the benefits of quick deployment. Through the published guides I've also discovered AWS tools such as CloudFormation that I did not know about and are well suited to my purposes. When funding it less of an issue however, I'll be likely to move to Travis because of its relatively higher stability. Extremely fast: We compared the perfomance to other 5 CI services, it was the fastest with difference. No memory problems: We have a kind of big monolith, which was leading to some memory problems in other providers. Always worked well here. Easy to setup: I took minutes to set it up using 4 box parallelisation. When trying to achieve the same with other CI services (specially the ones yml based), it's always hell. Manual deploy: You can trigger deploys manually. Sounds stupid, but most of the CI services don't have that option. Result Artifacts: It would be amazing if you could generate content over an specific folder and this being exposed as part of build result. Given a project, all of it shares the same setup. If you want to experiment with changing the configuration, you might affect people working on it. We have several CI/CD pipline working with Semaphore. Speed, speed, speed. We reduced our build time from 40 minutes to around 10 minutes. Core i7 and huge amount of RAM definitely makes lot lot of different. Java, no problem, webpack, done at ease. All of that our quality of development completely. We work in quite strict environment that takes long time and effort to actually release. To mitigate that, we try to make sure every release is a GO, less regression, less likely to fail a microservice/integrations. That means, we have A LOT OF tests, all of them are heavy duties. Say, integration tests between all microservices, E2E test to most functionalities. "Solid and easy to use." The support has been fantastic since we started using it about 2 years ago. Questions are answered very very quickly and the interface is laid out in a common sense way. I actually love the interface. They aren't trying to make a big deal about it but the lack of visual clutter really makes this a great match for us. It is simple and straightforward. We can easily build complex workflows just like a MakeFile. Docker integration is straightforward and perfect. It has all the features that you would expect and none of the proprietary nonsense that a bunch of other CIs have. I wish their base platform was a little more up to date. I'm not talking about Python or NodeJS which always track the latest version but GCC is a little old and prevents us from using some packages. Specifically `mysqlclient` cannot be pip installed on the platform because it requires gcc-4.9 and the LTS version of Linux they are using only has gcc-4.8. We've gotten around this but it would be great if they could jump that hurdle. The simplicity and the support make this a worthwhile choice. CI and testing are how we survive. We do short bouts of development throughout the year and then have ~6 months of no development. Returning to working codebases is critical. Semaphore has made the barrier of entry on this very low. "A perfect solution for our Continuous Integration and Continuous Deployment needs"
What we love of Semaphore are the reliability and speed of the service, combined with a user interface which allows us to distinguish easily between tests and deployment status. Also the customer service is very attentive and replies usually within just few hours. Last point is the infrastructure: all our project tests always worked out of the box without the need of configuring anything on the CI server. They still lack some smaller features like support for .ruby-version file or different status badges for CI and CD. The APIs are also still in Beta, so we couldn't use them fully. We are looking forward to have those features available. At Renuo we ❤️ to keep our developers life easy and guarantee high levels of quality for our customers. Therefore we always use Continuous Integration and Continuous Deployment tools to automate the test, distribution and release of new versions of our software. We used different tools in the past: TravisIO, Codeship, a custom tool, and they always lacked something or were not performant enough. When we used Semaphore, we finally found the tool we were looking for. "Semaphore is at the automation level"
As a full-stack developer I constantly dealing with need to speed up processes and functions and automate deployments and processes to focus on things that cannot be automated or require creativity. Semaphore offers helpful continuous integration (CI) platform and integrates perfectly with Node.js / React ecosystem, I'm currently working. In most cases developers need to show passed tests, tests as requirement. Concurrency with other automated tools eg. one github repo for different test and functions. After Semaphore it is difficult to return to manual tasks and it is necessary to convince everyone else to use it. You can not say in a few words about practical tool such as Semaphore. It is necessary to read expert articles on specific code topics. Good recommendations from experts. Strongly agree. Semaphore eases up automated tasks. "Fast and robust, great features, fantastic customer support"
* even back when we were still using a free plan, customer support was exceptional - quick to respond, helpful, kind and competent. The web interface for navigating between builds and branches could be better - there's a couple of places I always need to think about when using it. Also, the build view is not refreshed consistently - sometimes it's stuck on some setup step in the browser while I can see that my build is done and a deploy was triggered. There is a good free plan and the customer support is great, so reach out if you have any problems configuring it. It allowed us to build the CI/CD pipeline we wanted. "Easy to set up, easy to use, and scales with your needs. Been a customer for 4+ years"
The platform is very easy to get going (with the handy Github integration), and the UI gives you what you need without getting in the way. The team is very responsive as well the few times I've had questions. I've also built utilities on top of their API which was quick and seamless. Not much, honestly. I wouldn't mind having the option to use a YAML-based config (like Travis), but that is super minor and something I could probably hack together myself if I cared that much. I work on a very small dev team, so automation and speed are key. We've completely automated our build + deploy pipeline with Semaphore, and the set up all happened in a single day. We use Slack as our operations center, so the native integration there is a great fit for us. "Quick setup, powerful CI, nice support"
We used to have an in house solution for CI/CD which required plenty of time for maintenance and setup. With semaphore CI you can have the CI setup in minutes. I find the cost reasonable for the power it provides. The seamless integration with github and heroku. We're using it to automatically run our test suites and staging deployments for Ruby on Rails apps. I think what standout in their service is the user experience, everything is easy to do, adding a new project, setting up build settings, adding team members is just easy and often overlooked by others CIs. Not much to say here, I don't really dislike anything in particular, I've used other services and nothing compares. I really think this is the best tool for Continuous integration and deployment, ease of use is the best feature. For us, it's the flow it creates from pushing to our Github and automatically building an running our tests and linters in semaphore and deploying if everything passes. Just makes an awesome user experience. "Great service that helps the development team"
We tried a few different CI services and Semaphore was by far the easiest to setup. When the tests worked in development, they worked on Semaphore. With other services this was not always the case. Another great feature is that you can spread out your testing suite over a few different servers that carry out the test suite in parallel. Wonderful is also the auto-deploy feature that deploys green builds to AWS. When choosing a lot of parallel boxes to run your tests it can get quiet costly. Continuous testing and continuous deployment. This helped us greatly to improve our development process and roll out more quality code. I like to start my day Semaphore. Very simple and easy to use that program.No worries to set up it is was super quick. Very great tool. They make work easier. Nothing I dislike. I found that software helpful wor working team. As I said before, the program really works for our development. And all her steps are easy to understand. Great Solution which is work so clear and fast. If you want your working day run more productive, this what you need. Helps your business to be qualificator too. Working much better as we have our fast feedback.I feel more relaxful than I know that this program works for my needs.Very great delivery process. We like it. "Easy, fast and efficient setup for CI/CD"
"The best CI/CD experience I've had yet"
Semaphore makes it incredibly easy to set up the CI/CD pipeline you need, with great performance too. The pipeline setup interface is simple and there are constantly minor yet valuable improvements & features being added. We've also found their support team to be very responsive and helpful. There's not a lot I dislike. Fleshing out the automatic test suite splitting technology support in Ruby to include support from Minitest and not just RSpec would be a killer feature addition for us. Semaphore hosts our high performance CI/CD pipeline for us. We've found Semaphore to have much better performance than all other competitors we've tested. Setup and integration with Github is very easy. There's enough configuration options to get the service running without having to change your application to fit the service. There is a delay for their systems to update the latest releases on core pieces of the infrastructure (language version, database version). Totally understandable, but I have had to work around in a couple of cases when upgrading my application. Continuous integration server for a Rails application. The server runs on it's own infrastructure so we don't need to worry about it and it's already designed to scale to we can add more resources with no effort. The platform is the fastest available. I tried many different platforms for CI and on all my benchmarks this was the one with the best results. In some cases performing within half the time of others. It is, and seems to have always been, quite simple. It lack some interface features. But luckily the support team is very helpful. I expect this downside to disappear in the near future. Watch for usage costs. Being on demand is nice and all, but if you have high demand, like us, it can be very costly. Contiuous Integration is key to provide feedback to the development team and also enable the continuous Delivery door. "Most cost effective and well rounded CI solution there is"
The best feature of Semaphore is the ease of setup. It's a very quick to get up and running with semaphore with out having to learn any special configuration syntax, just simple commands that would work on your local machine. Semaphore sometimes does not cache docker images for common dependencies which can unnecessarily slow down our test times. However, the network speeds are quite fast and this is only noticeable to the impatient. Semaphore is a spectacularly simple solution to setup and is capable of many complex build scenarios. With its docker support, it is very easy to test complicated application stacks. If you need to test against various versions of an environment (e.g. various versions of Node) you might be better off with something like Travis, though the cost will be higher. We have used semaphore for everything from deploying simple static websites to S3, to running our automated tests against a multi-container dependency docker system and building docker images to deploy to a registry. We had spent many hours setting up open source solutions to our CI needs but often faced instability far more maintenance costs than we would have liked. Semaphore provides us with a hosted solution for far far less than we would spend on our own custom rolled solution with far more features. Easy to use: It's very intuitive to set up a build and use. Setup a basic build and deployment pipeline is just minutes task. Flexible: You can create a run your own manual builds also it is possible to install additional packages not included on the current platform. Great support: The support team always have replied to all my requests in less than 24 hours. One-click deployments to different environment and servers. We used it because it integrated with BitBucket and worked smoothly. Their servers have all the common services and cache dependencies for faster builds. They have great settings to only build what you need ensuring builds don't build up. Give it a go and see if it'll help your business improve it's quality too. We want tests run for every change to our system and integration with our pull request process. Semaphore ensures devs can be confident their code changes pass our tests and ensure we aren't breaking features. "Simple, fast and accept docker-compose.yml"
The speed is awesome, but the mainly fact of accept docker-compose.yml makes me love this CI. The UX could be better, the design pass the impression that the product is "amateur", but it's not. Give then a try, it's really fast. I have some tests that should be run with a postgresql database and this may run slowly, the fact of accept docker-compose.yml creates a environment exactly mine and save me much time. "Simple, Fast, Cheap - everything you want out of CI"
Semaphore is very simple to set-up and is very fast. Semaphore really have nailed it. I couldn't think of anything that I do not like. We moved to semaphore because we were unhappy with the performance of other CI providers. Semaphore provided far better performance at a much more competitive price. I've also been extremely happy with their support - responding to the only issue we ever had in under and hour. I like that Semaphore is simple & you dont need write long yml files and configs, as a front end developers its hard to me, but i can write bash scripts, which Semaphore ci/cd understand well. - Quick to set up. Wondering why I didn't come across it sooner. - Passes our test suite. - Shows build status in repo. - Prevents merging a failed test. - Auto-deployment on specific branch. "Semaphore is the best CI I have worked with"
It is really quick, compared to SnapCI. The price is quite good. The interface is also good enough. You can SSH to the machines. When you are looking at the master building queue, is not straightforward to know which commits have been deployed. Give it a 2 weeks try, it is quite good. It manages the CI and deployment. "So fast, it's almost too good to be true!" The speed is amazing, after coming from Travis CI where we got used to build speed of 16 minutes per build, having our builds complete in about 4 minutes is an incredible increase in productivity and sped up our development flow 4x! It's tricky to figure out the UI sometimes, it's minimised to the point where it's not giving enough information at a glance. Would be great to see why a build is breaking when you click through to Semaphore as opposed to having drill down to the individual test sections. Go for it, it's cheaper and faster. You can also trial to convince yourself. Increase speed of delivering products to our users. I'm not sure how Semaphore do it, but I can get the fastest docker build + tests phases I've ever seen on a CI platform; It's ridiculously good! Sometimes it's hard to find how to do something, and your configuration is mostly kept in Semaphore's UI, but version 2 seems to let you commit your config to your repository instead. The biggest benefit is being able to run identical tests locally and on semaphore with docker-compose; all of your setup and CI, etc are done just once locally, and then can be run on Semaphore's platform. Start with the free pricing, which may be sufficient for small startup. However, parallel job can be a huge boost and can speed up you integration time and can be really esteemed by your engineer team. We can now focus on development without be stressed by the legacy code, since our tests check for regression on each commit pushed on our Git repository. This allows the whole team to check if a branch does not break something and if something is ready to deploy. The communication about if a feature is ready has been improved. By the way, continuous deployment is available, even though we don't use it. "Semaphore just makes testing really easy." Simply that you push your latest branch to your git repo and the test suite runs. You can watch the suite run, keep track of every branch that has been committed, and add hooks to notify Slack on success / fail, send coverage reports to CodeClimate. As a member of a distributed team, NY/Texas/Colorado, USA, Brighton, UK having a place that the team can all see the progress of our applications state we can instantly see the state and assist members of the team for problems we can see arising from test failures. Nothing I dislike, It would be nice to be able to be notified or drill down and grab test failures at the time they fail. Rather than waiting 20 mins for our whole suite to run before notifying us. This might be possible with a custom hook however. Try it for free with your open source project and give it a whirl. It's mostly about visibility and if out team can instantly see a green dashboard that gives us confidence that we're rolling out a product that is production standard, and that a red dashboard that give us pause to reflect on code changes before we make anything live. The look and feel, the integration with github and the robustness that it inspires. The navigation between team settings, global settings and personal settings is sometimes confusing. We are a team of 3 engineers and we rely on Semaphore to execute the code suite continuously in order to review and merge pull requests correctly. Coming from CircleCI, with which we had some issues keeping the test suite in sync with local environments, it's a breeze. Semaphore CI is fast and super intuitive and easy to use. It also has a great documentation. It only supports GitHub and BitBucket. If I use other version control systems such as GitLab, AWS CodeCommit, or whatever else, I can’t use SemaphoreCI. The easy way to configure your pipeline, CVS integration, integration with Heroku and customisability. I even find it a pitty they don't provide iOS integration, that'd be over the top! "Easy setup, fast and reliable"
No-brainer setup. Very easy to work with. In v2 (beta) the GUI still needs some improvements, though it was very simplified and pleasing for the eye. I would appreciate some examples when editing the yml configuration (side by side) with recommendations for your project type. It's fast, It's reliable and it is very easy to use. I am working with open-source projects and the fast feedback is awesome. "One of the easiest to use and simplest CI solutions out there"
I love how simply and easy to use Semaphore is... Whenever I started up a small project I usually default to Semaphore as my CI tool of choice. Other tools may have more features, but 9/10 times I just need a solid, easy to use, quick to set up tool with all the basic features. The price is right too and they're adding new features all the time. As mentioned previously, it's not as fully featured as some of the more advanced tools, but frankly I hardly have ever needed more, except when working for large companies with tens of thousands of tests and teams of 30+ engineers working on the codebase at the same time. If you want simple, affordable, and easy to use, go for Semaphore. I've only worked on 2 codebases that really required massive parallelism and enterprise level support... I'm sure Semaphore would work with you on that, but I recommend it if you want to get up and running quickly. Semaphore fills the need for a simple, no frills service to run and monitor my spec suite. I typically work in Ruby/Rails and this is a great service that has always met my needs. Their Heroku integration is nice as well and makes getting up and running as simple as can be. "When you just want to focus on development"
I can't really pin down their secret sauce, but their UI approach is just intuitive. I get elements configured quickly and I'm off to the races. Looking at results, and drilling down on build/run problems is quick and easy. I call it my "no drama" measure of how intuitive a cloud CI is to use and Semaphore has it figured out. I'd really like to have some guidance on continuous deployment of my Elixir language projects from Semaphore to Gigalixir PaaS ( https://gigalixir.com/ ). There's nothing out there I can find that provides the steps involved. "Perfect fit for a small-medium SaaS company"
Speed of rollouts for language updates can take time, for example versions of Ruby. The team is great with workouts thou. * We monitor all Semaphore reviews to prevent fraudulent reviews and keep review quality high. We do not post reviews by company employees or direct competitors. Validated reviews require the user to submit a screenshot of the product containing their user ID, in order to verify a user is an actual user of the product. Hi there! Are you looking to implement a solution like Semaphore?